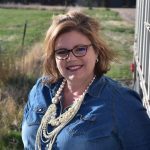 While the conversation isn't a new one for the livestock industry, Chelsea Good, Livestock Marketing Association vice president of government and industry affairs, said it is one that is experiencing a new level of interest and enthusiasm from the regulatory community as well as some segments within the beef production chain. In Kansas, high-frequency tags are being tested as a part of the Cattle Trace project. 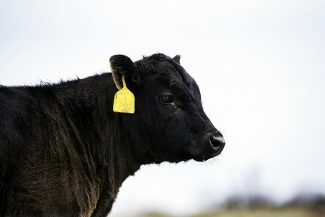 Most tags used up to this point have been low frequency, the main difference, Good said, is the ability to detect information from a group of cattle at once rather than one at a time, potentially maintaining a level of efficiency, especially in an auction environment. As part of the program, the tags are available to producers for $1 per tag, which is a subsidized price point for the purposes of the pilot program. The Cattle Traceability Working Group (CTWG) was born after the U.S. Department of Agriculture Listening Sessions and a wrap up meeting in 2017 with the purpose of gathering the thoughts of producers from all aspects of cattle production. Keeping in mind, the existing system for cattle traceability, Good said the CTWG has been active in determining what an ideal system might be to enhance the current system. The first goal of CTWG is to concentrate on older cattle for which identification is already a requirement, and improving this program. While there are feeder cattle being identified on a voluntary basis, the CTWG is not talking about adding feeder cattle to the mandatory program. "There's a reason the industry hasn't done this yet," Good said. "If this were easy and inexpensive, we would have already done this but it's neither of those things." From a marketing perspective, Good said one concern to be addressed has been with whom the responsibility lies to identify individual animals, be it on the farm, at the first point of comingling, or farther down the production chain. For small producers who may market a few head at a time and may not be identifying those individuals on the farm, the cost of the tags and labor are borne by others, a potential cost that could be easily overlooked but is still significant. Initial electronic identification conversations, she said, centered on adult animals and tracking the interstate movement of those mature animals, especially as electronic tags seem to be a logical next step in the USDA's recently announced goals of increased traceability. 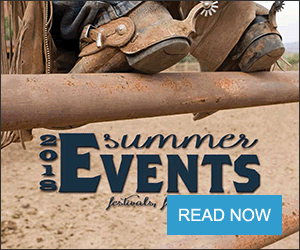 When there is a disease issue, Good said state veterinarians have been able to quickly track the origins of cattle who have moved through traditional marketing venues, the larger challenges coming from when individuals are sold through alternate means. "One of the things that makes this challenging is that we have separate segments of the beef industry, and that's a good thing," she said. "We don't want to vertically integrate like some of the other proteins, but it does make it more challenging to track through the system." As the program progresses, Good said it is vital that the industry find ways to even out the cost and benefit throughout the chain to benefit producers, despite the difficulty of the conversation. In Texas, Joe Leathers, manager of the 6666 Ranch, is involved in a pilot program in conjunction with Florida and Kentucky cattle producers beginning this fall. Questions still surround whether high- or low-frequency tags are superior and the pilot program will allow the testing of both. With this data, in addition to the data gleaned from the Kansas program, it is Leather's hope that the process will continue to progress efficiently to enhance the system already in place. "We are of the belief that there is an opportunity to have a two-pronged approach to disease traceability," he said. Data gathered includes the information important to state veterinarians that includes premise identification numbers, contacts, addresses, and the information necessary to trace a disease outbreak. The second prong, Leathers said, is an added-value portion that could exist to contain data about the animal that could be negotiated between buyers and sellers. That data could include genetics, ration information, vaccination programs, performance on feed, carcass data, and other information pertinent to producers. Leathers said while that data is less pertinent to the needs of state veterinarians and those tasked with disease outbreak traceability, its nearly unlimited data potential could be a value-added aspect allowing cattle to be marketed differently. "We could give producers some incentive to want to do get into a disease traceability program," he said. "I think that's been the big push back. Who is going to pay for it?" The user-friendliness of the enhancements to the current program are important to the ongoing conversation as the technology begins being tested by producers, keeping in mind the constraints often on producers and markets. "We have more producers who see the need and feel like it's more realistic," he said. "In my opinion, it's going to happen so we, as producers, have to step up to the plate and come up with the program to where it's user friendly in the real world." 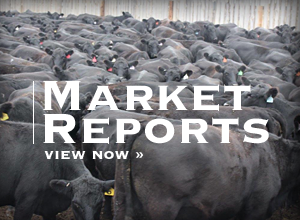 With so many different voices across the cattle production chain involved in the conversation, which he said is valuable, Leathers likens the process to pouring cold molasses but said it is progressing with the input of producers.